Wait....the gaps were big so the solution was TIG? Yeah, that made no sense to me either. TIG works best with the tightest fit possible. sorry i was half asleep when i wrote that, i filled it in with mig and it looked ugly. so i growned it down and my teacher went over it with tig. well more planing is in the works... i got a good tax return so in turn i decied to lift my ranger. im going with a 4in rough country lift kit, and for now 31" in tires. this summer ill get chrome rims with 32"s or 33"s. so the lift is coming soon but i have my tires and rims already, witch is makin me more and more exited for the lift to be done. working with a college budget i got used tires from unlimited off road with some brand new rims. also quick update on the front bumper, got the bumper done just figuring out the mounts im gonna do. 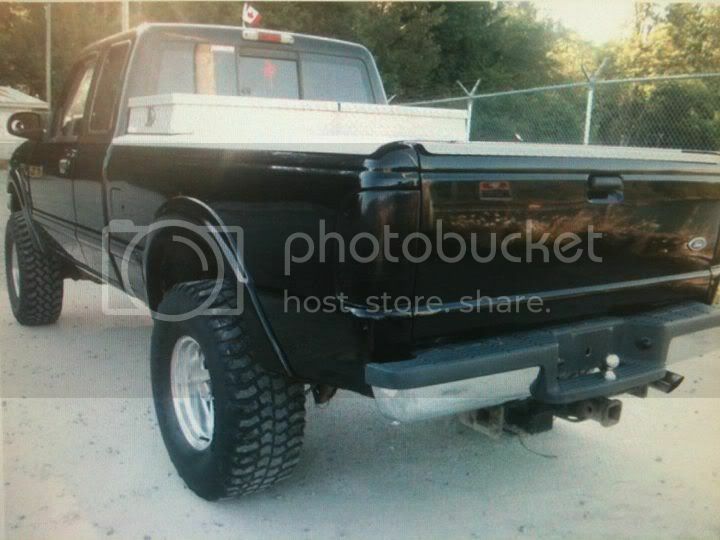 heres one of it mocked up to the truck. heres mounts and tow hooks. i also had a ? 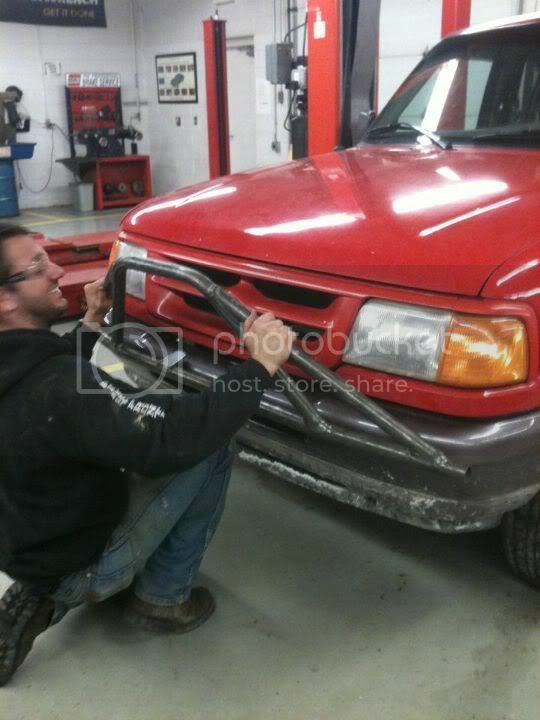 can i mount the tow hooks to the bumper? 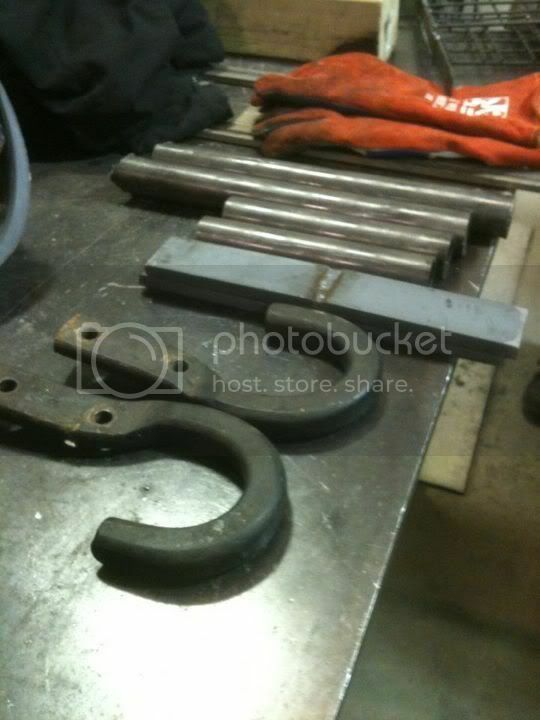 if you look in the picture above the thick flat steel is whats gonna be mounted to the frame. i was just wondering where or not i could mount it to that? Only if it's directly tied to the frame. 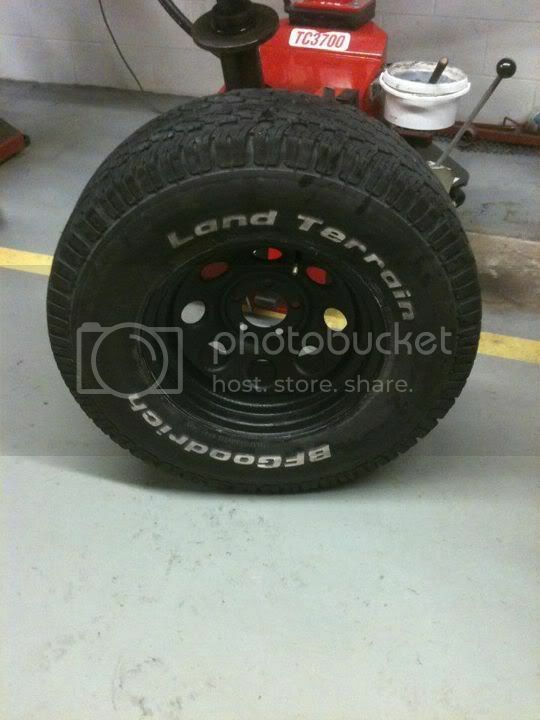 i dont know we will see what happens when summer gets here i may keep them and just get a new tire. 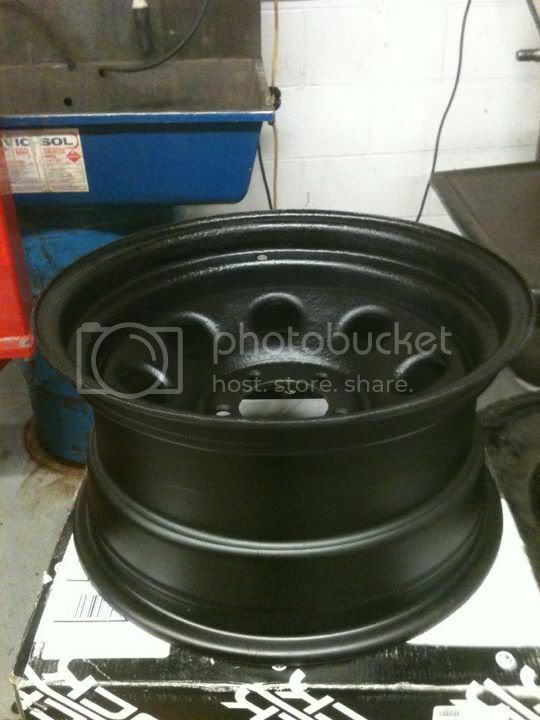 i know over the summer i want to go to a 33" tire so we will see. ya that flat plate will be right on the frame. but i was thinking of putting the tow hook on the piece of flat steel. Paint the rims rainbow color. It would match the rest of the truck that way. Yeah but things come and go. Enjoy what you have :) How knows maybe you'll get a jeep in the future?